You just hit hit publish on that great new blog post. What a great feeling! Being the savvy content marketer you are, you now set out to to bring an audience to that post. You immediately go to all your social media profiles and share about it with a link. You get many of your friends, some followers, and even an influencer or two to share it too. A day later you notice the post has been indexed by Google, and it’s at #4 on the second page one of your main keywords. Not great but it’s a start. Over the next few days, you share the post again on social media, and continue to get shares from others as well. A week later, you check that keyword again in Google, and lo and behold, it’s now at #5 on page one. Must be all those “social signals” you got, right? Not so fast! There is so much speculation about how social media and SEO interact, but what’s the real story? I plan to give it to you straight in today’s post. 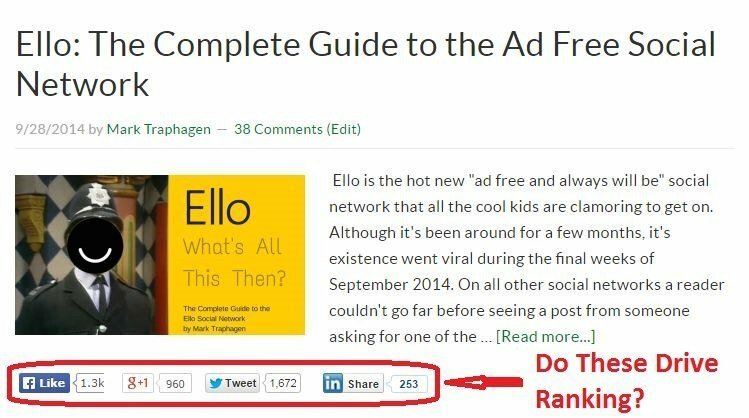 Do Search Engines Use Social Signals to Directly Drive Rankings? When people ask this question, what they mean is, does sharing a web page in your social media sites such as Facebook, Twitter, Google Plus, Pinterest, etc., cause that page to rank higher in search results. People also wonder if +1s or Likes have a positive ranking impact as well. 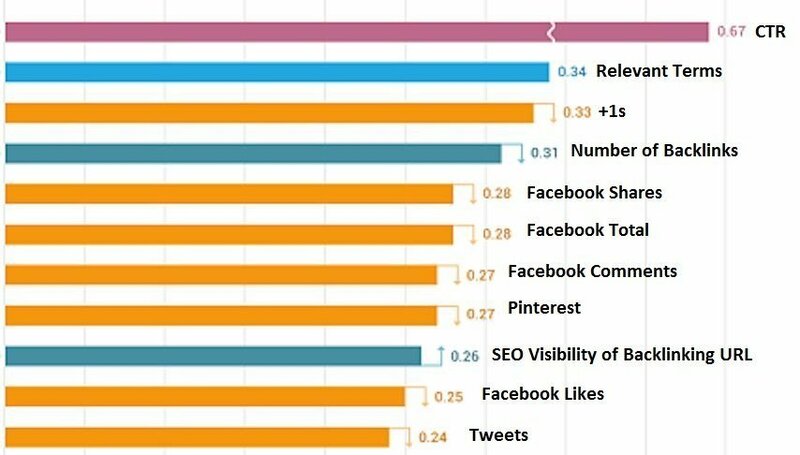 Many marketers believe this to be the case, and correlation studies like like this one from Searchmetrics, or or this from one Moz, encourage that belief. Google has repeatedly denied that they are using social signals for SEO ranking purposes. All the social media sites NoFollow such links, which acts as an instruction to the search engines to not pass PageRank through those links. Correlation studies only measure correlation, they don’t measure causation. To illustrate, there is also a strong correlation between eating ice cream and drowning deaths. The main reason for this? They both happen when it’s hot out – in other words, they have a common factor that causes each of them, but they don’t cause each other. And, so it is with social signals. Great content is something that lots of people are likely to link to and also is something that people will share in social media. Links are still a major driver of SEO. (Wondering if this is still true? Here is what happened when Google tried a search engine without links).) It would be a much deeper discussion to go through all aspects of this, but today I plan to focus on the best way to drive SEO benefits from your social media. 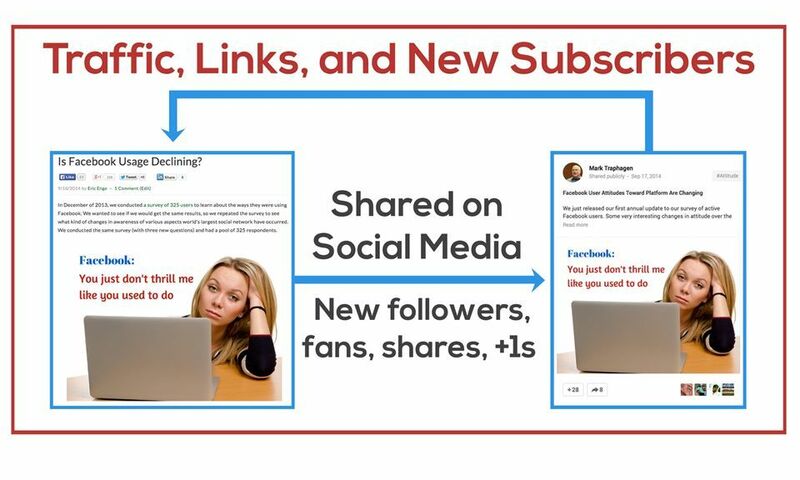 From an SEO perspective, your social media promotion can help provide the exposure to your content that results in other people linking to it from their web sites or blogs. 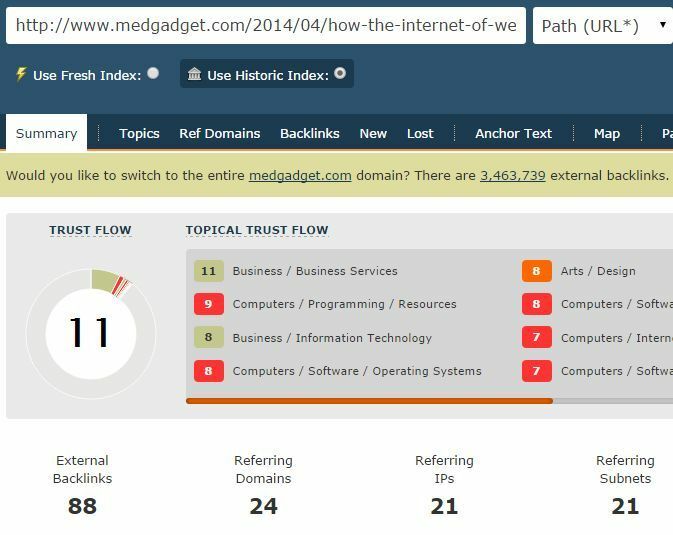 As noted above, links are still a major driver for SEO. Align the target audiences and the topical themes of your content publishing and social media efforts. Build relationships with like-minded people on social media platforms. 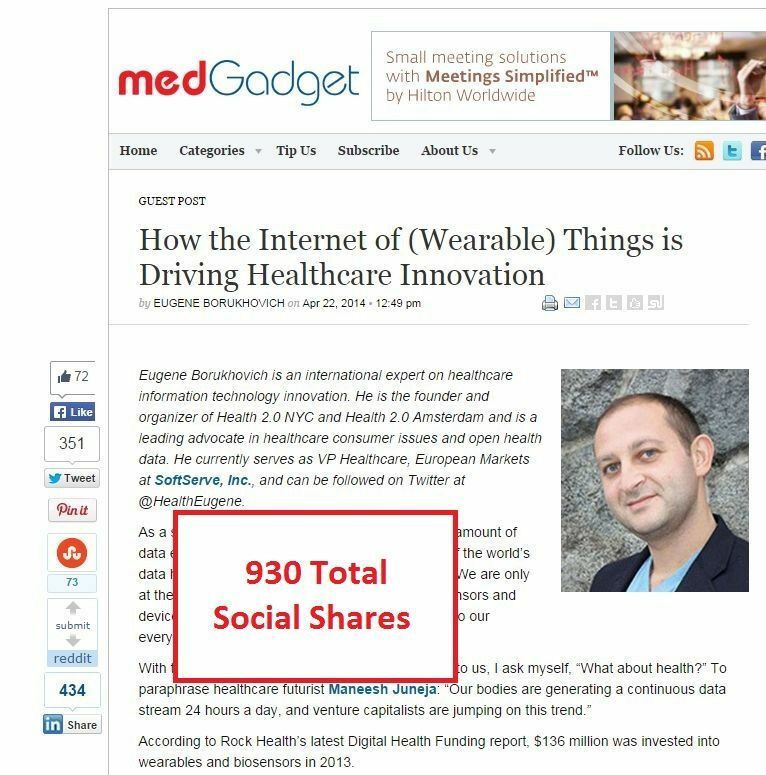 Show that you can give as well as get – regularly share or comment on other people’s posts. Be prepared for a learning journey. As you do more and more publishing of content, and posting on social media, you will improve. Your first efforts may not do so well, but practice does make you better. Of course, all of this is greatly facilitated by publishing great, unique, content. “Me-too” type articles are not going to get you anywhere, no matter how well you work the mechanics. Whatever market space you are in, figure out what the major un-met needs are (content-wise) and figure out which ones you can meet. This will make it easier to attract attention and grow your reputation and visibility. So Does This Really Drive SEO? Note that I have deliberately shown a post with a moderate result in terms of links. Not every post needs to be a home run, but external validation from links is a big deal in SEO. 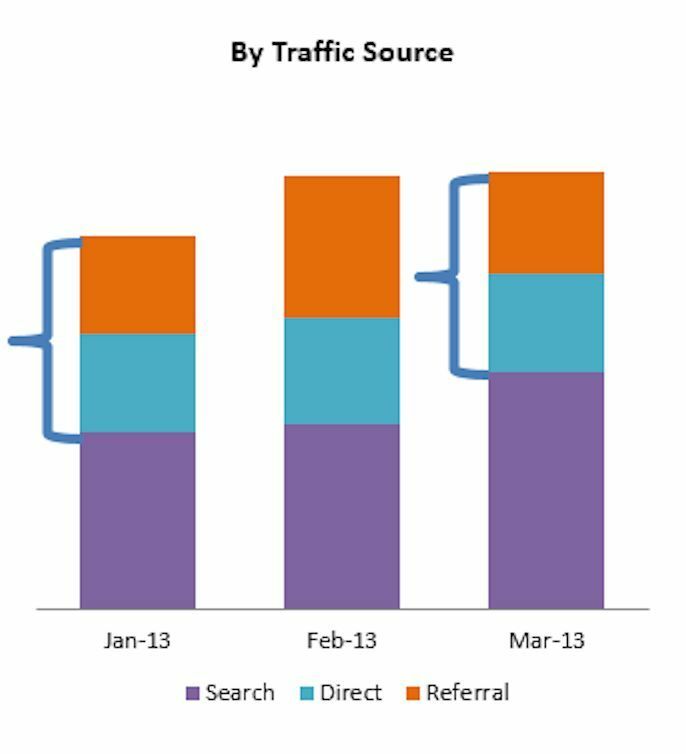 Note that they saw a good pop in direct and referral traffic in February of 2013, but, in March of 2013, it’s already gone. Look at that SEO traffic though – a nice 30+% bump in overall traffic, and that growth has sustained itself. Awesome! You can debate with me the assertions I made about social media directly driving SEO rankings, but at the end of it all, whether it is directly causing it, or just acting as an effective PR channel does not matter. Effective social media campaigns can impact your SEO, and are one of the most important reasons for building a social media presence. As you may have read, direct social media traffic is usually not a strong driver of direct sales, but SEO certainly is. So what are you waiting for? It’s time get to work on building out that social media channel and driving your business to new heights.